This drawing has been sold, and now is in a private collection. 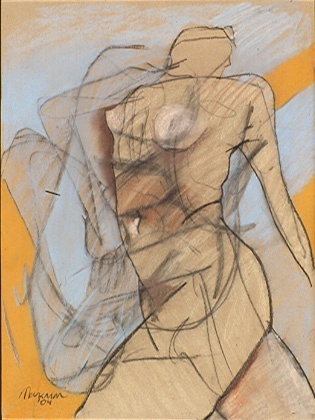 This drawing from life turned into a rather abstracted, cubist figure drawing. It is one of my favorite pieces.